Exquisite! 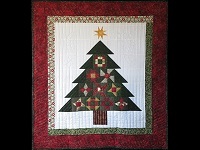 A one of kind quilt that will make your home beautiful and cozy for the holidays. 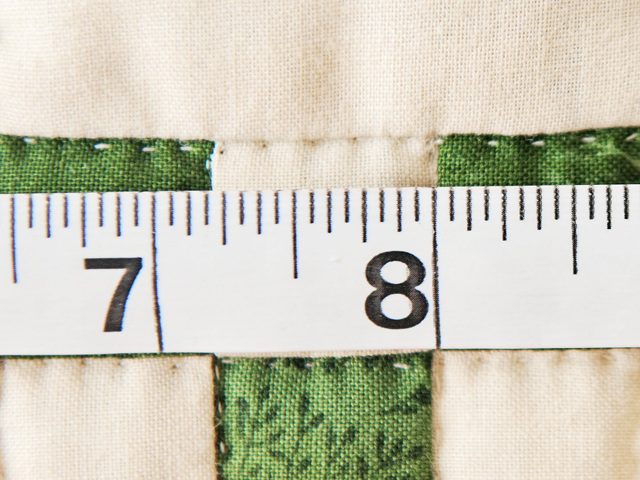 It's sure to impress all your guests! 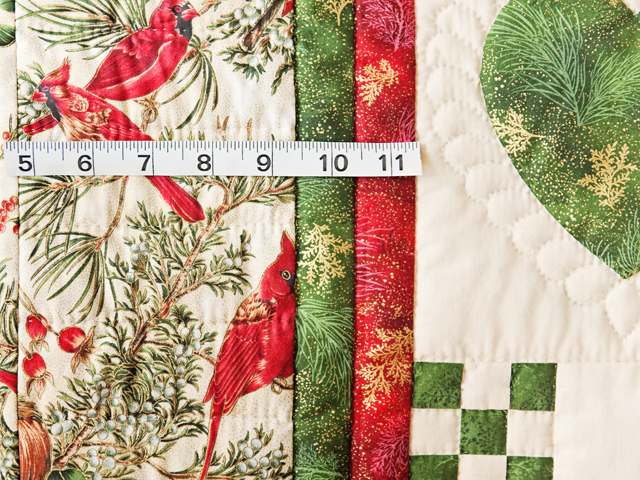 The fabrics are exquisitely beautiful and appropriate for the holiday season. 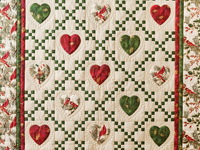 The hand appliqued hearts are extra special and the quilting around them is fine and lovely. 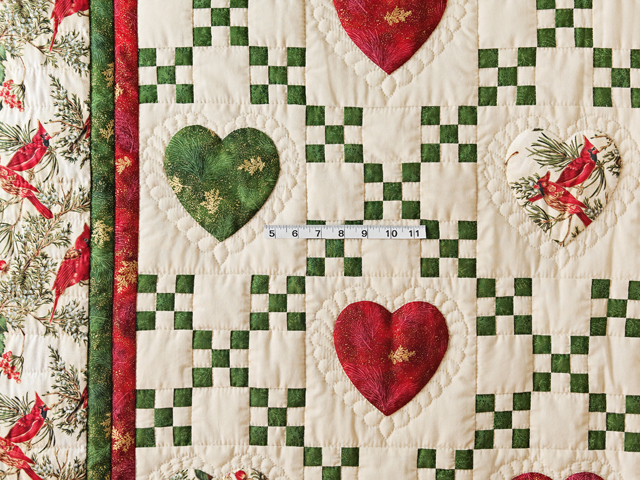 The tiny patchwork is charming and perfectly pieced. 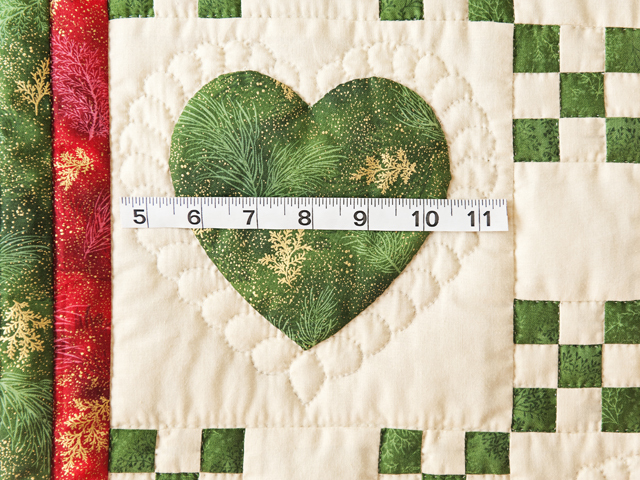 A very generously sized quilt that would be perfect to use as a throw quilt. 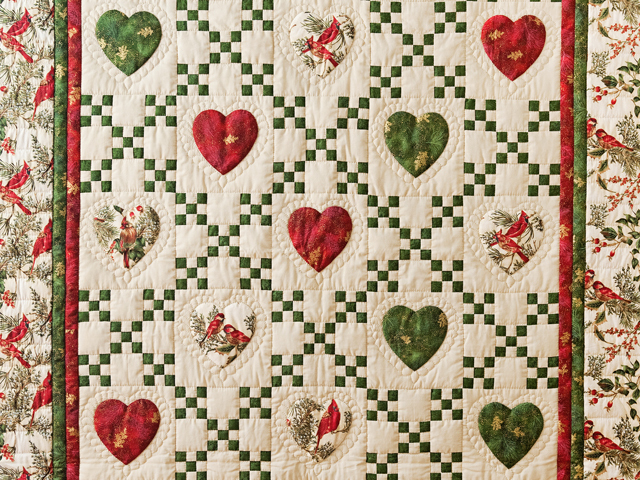 The back is covered with the same cardinal fabric as used on the border. 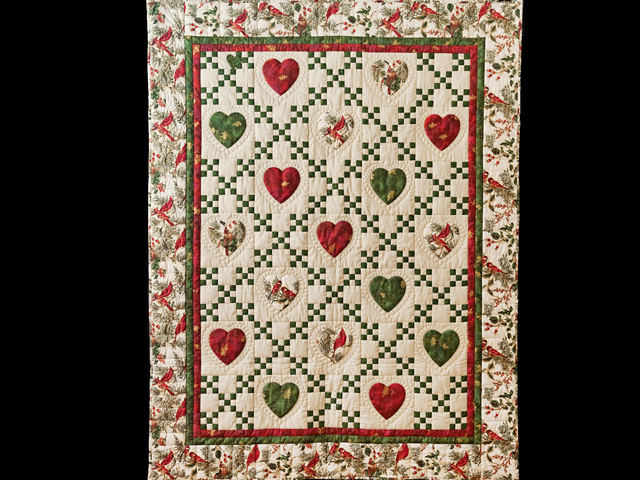 Made by Mennonite quilt designer, Connie Lapp from Lancaster County, Pennsylvania and hand quilted by a Mennonite friend. Just perfect!